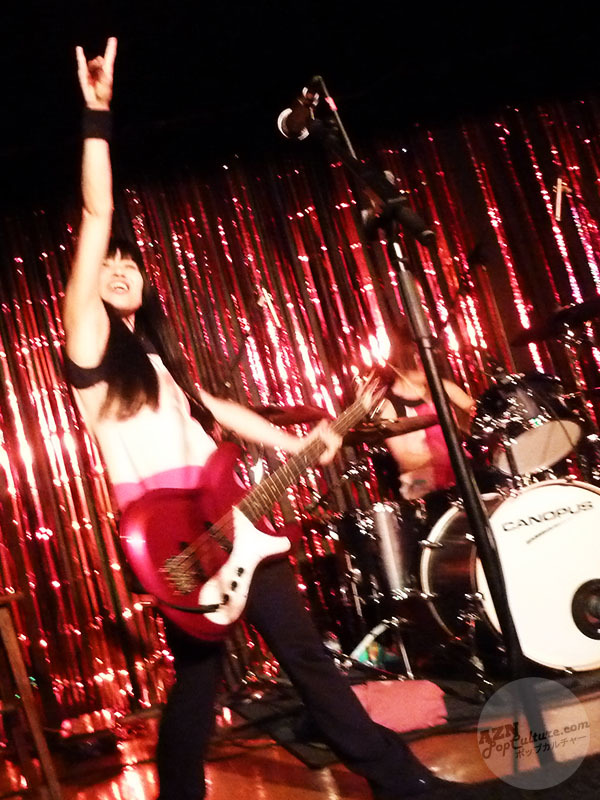 First of all, I'd like to say a very big thank you to all of you who read my recent blog post with my Top Ten Japanese Bands, in which Shonen Knife were featured; so far it's been one of the most popular posts I have written yet, so thanks again!! Please do comment with your favourite bands too; I'd love to hear what else is out there, and maybe find some new music to listen to. Also, don't be afraid to disagree with any of my choices, I'm always interested in others' opinions. 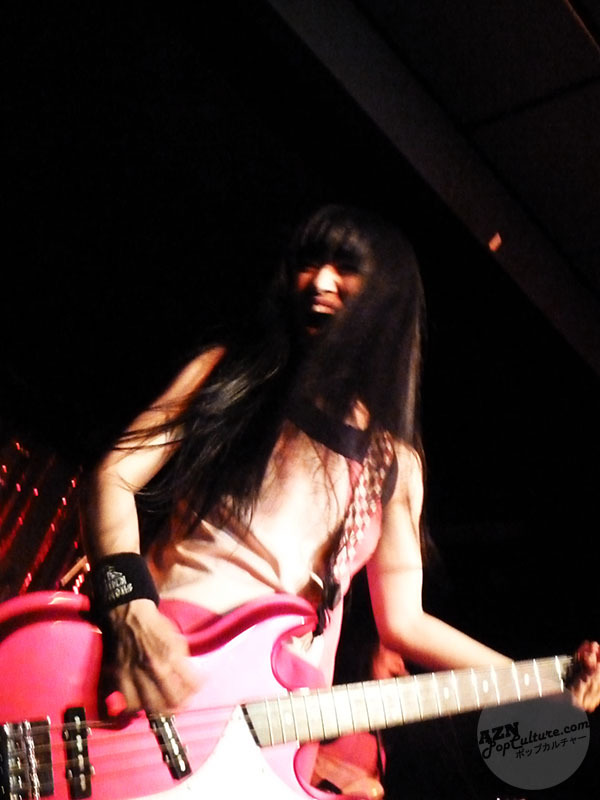 On Friday night a friend and I went to see one of my favourite Japanese pop punk girl bands, Shonen Knife play live at The Queen's Social Club, Sheffield, England. I've enjoyed their music for twenty two years now (Wow! Is it really that long?! ), and I'm sure I'll continue to do so for many years to come. In fact, they celebrated their thirtieth anniversary a couple of years ago (I was at one of those shows too :D). We arrived quite early at the venue, so obviously it was pretty empty when we entered the establishment. The venue has a capacity of five hundred people, but with it looking so empty I was afraid that it might be too big for the band. Having seen them play the previous year at the Nottingham Glee Club and the number of people at that show, I thought that they were never going to fill this place up! I'd seen them at another venue in Nottingham before and another in Leicester as well, and they were pretty full, so I don't know why it was less crowded last year. How wrong I was though; by the time the two support bands had finished performing their sets, the venue was pretty solidly packed out. 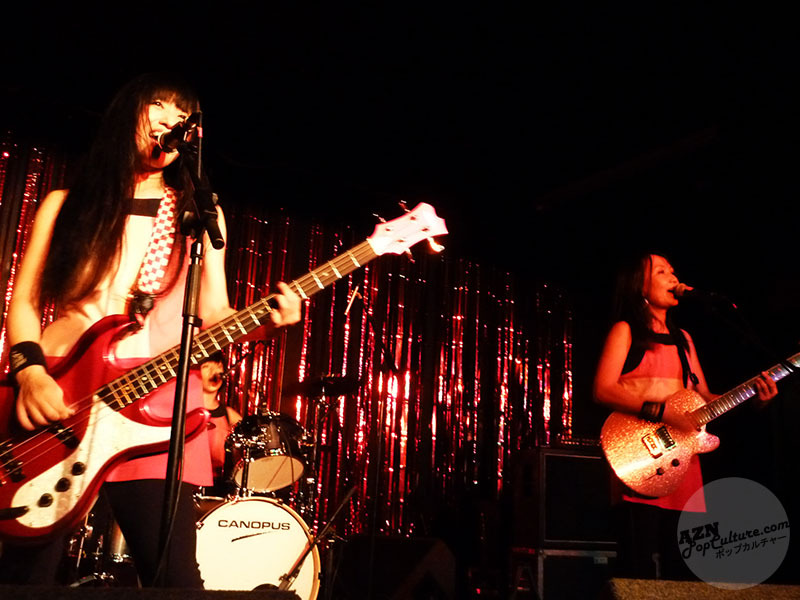 I guess that seeing as Shonen Knife hadn't played in Sheffield in the last twenty years (vocalist/guitarist Naoko Yamano revealed this fact to much amusement from the crowd), there was a lot of anticipation for them to play a live show there again. 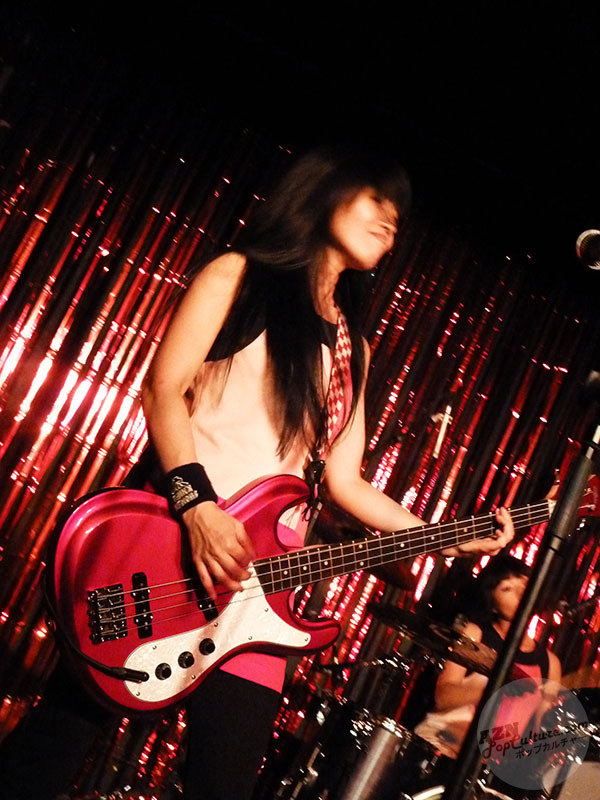 We were lucky enough to get a really great spot right at the front of the audience; we had a brilliant view of the band, standing right in front of Ristuko Taneda, the bass guitarist. 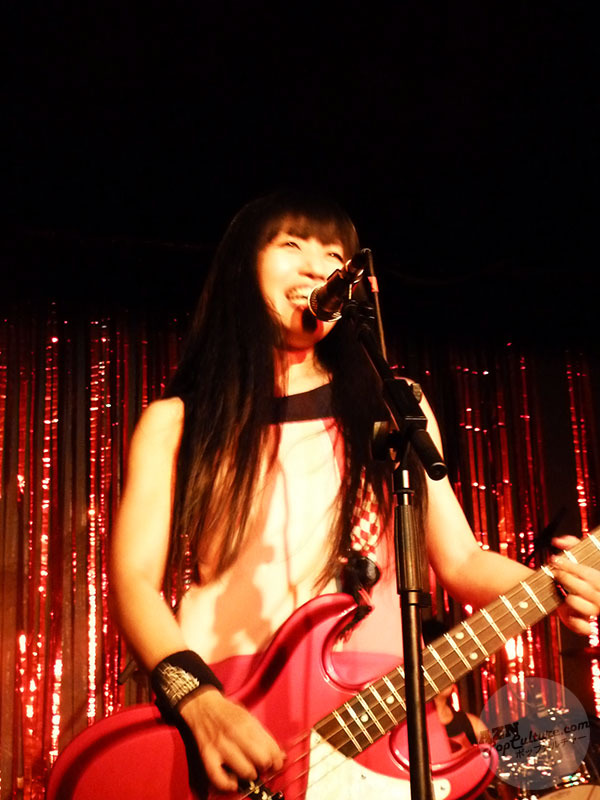 The band came on stage to a huge round of applause and lots of cheering, and they started the show with their usual opener "Konnichwa" from the 1998 album Happy Hour, a very suitable song to start a show with indeed. "Konnichiwa! Konnichiwa! Welcome to our show!" "Konnichiwa! Konnichiwa! Let's have a good time tonight!" And a good time was what we were all in store for! As always, their show was full of energy, and a great repertoire of sing-along songs coming thick and fast that had the audience in captivated mood. 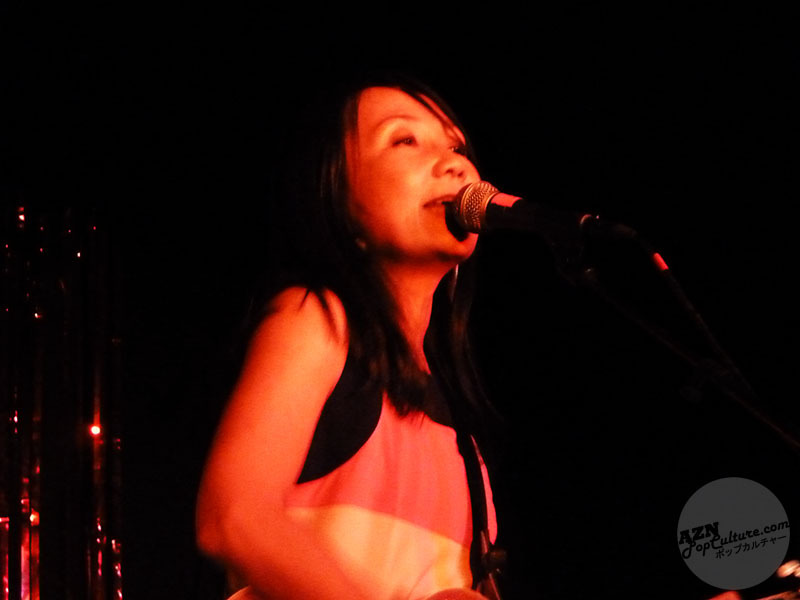 Next they played Banana Chips, also from Happy Hour, an upbeat song (not unlike almost all of their others) about "sliced bananas lightly fried in coconut oil, mmm... They're just a little bit sweet"! 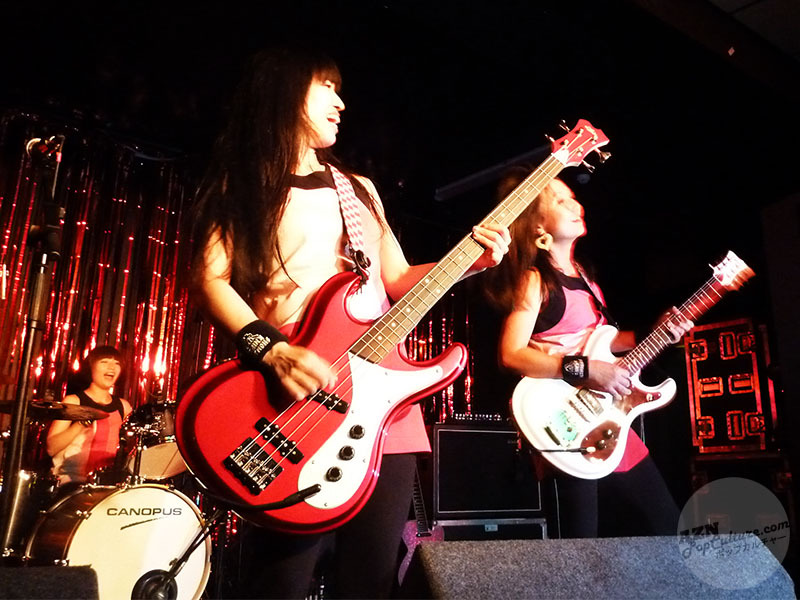 After this, the band performed some of their songs from the album Let's Knife (1992), including "Flying Jelly Attack", and "Riding on the Rocket". 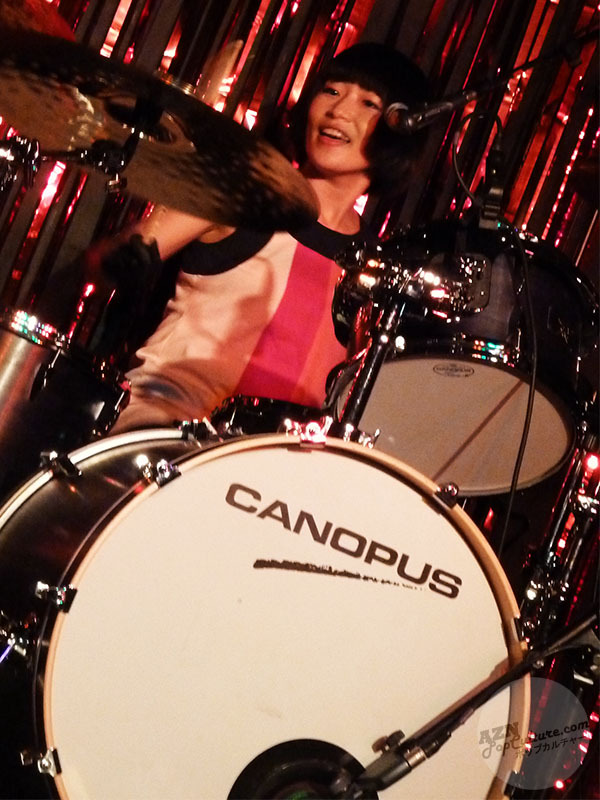 Also from that album is the song "I Am A Cat"; it was drummer Emi Morimoto's turn as vocalist on this song. 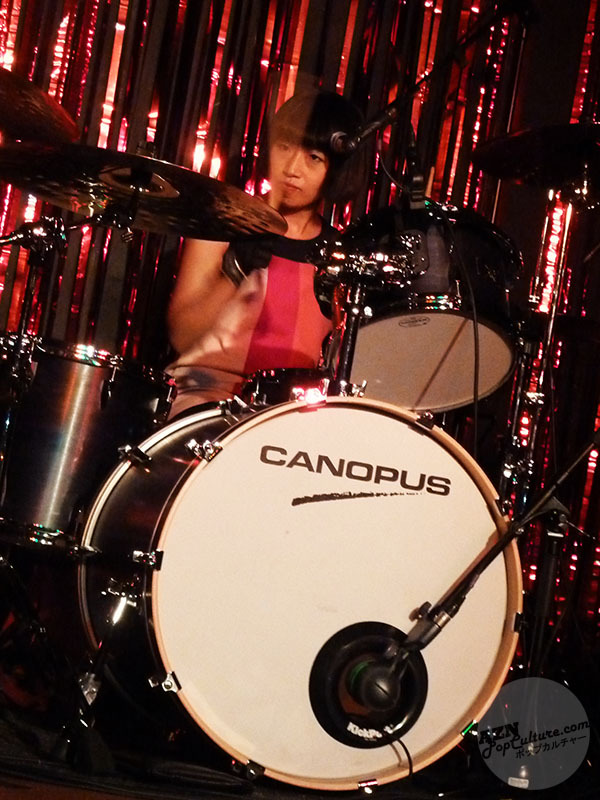 I am always impressed by drummers who can sing and play at the same time. I've tried it myself, and while I'm no drummer, keeping time and singing simultaneously seems to be pretty difficult. I play guitar, and it's hard enough to sing along with that sometimes. This was immediately followed by "Cycling is Fun", an innocent song about going down to the green fields on a sunny day and, yep you guessed it, riding on a bicycle. 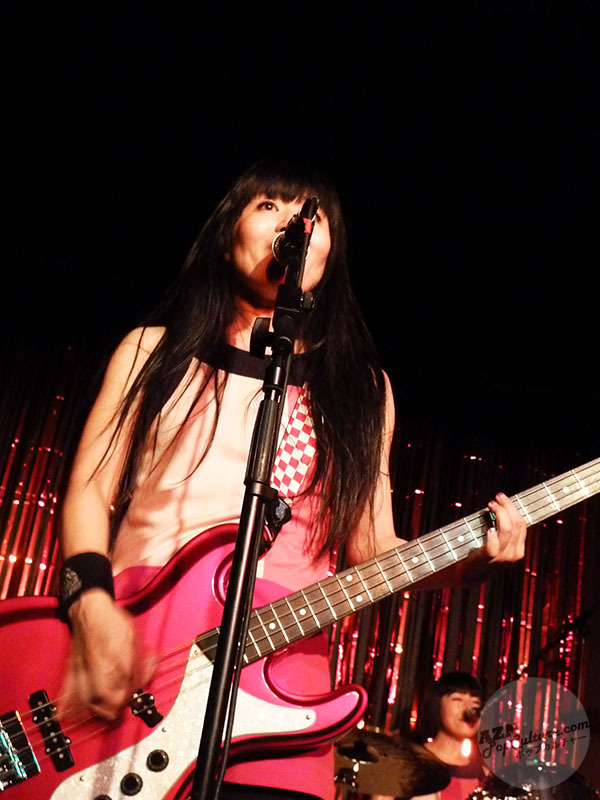 Bassist Ritsuko was on vocal duty this time. The song is also from Let's Knife. Unfortunately, I'd stopped recording when this happened, but I got a short video clip of her. 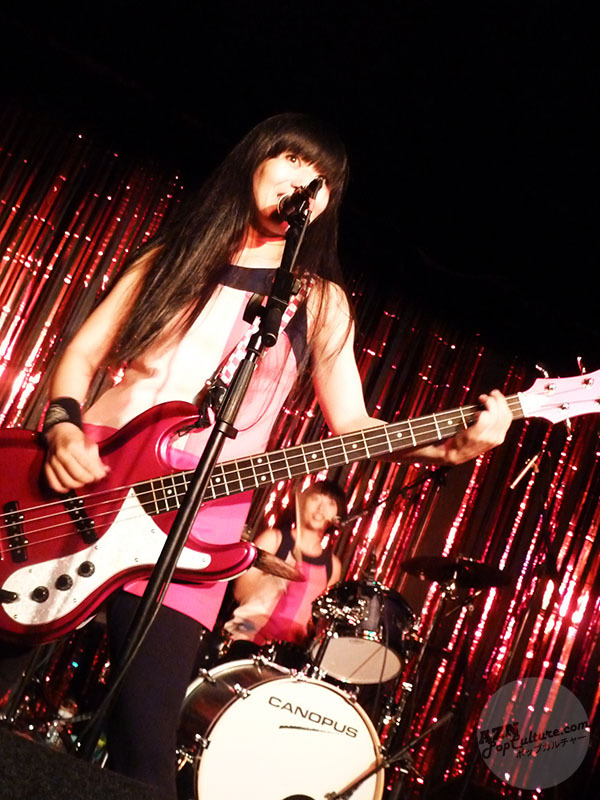 "Perfect Freedom", "Pop Tune", "Osaka Rock City", "Pyramid Power", "Rubber Band", "Rock 'n' Roll High School" (Ramones cover), "Cobra Versus Mongoose", and possibly "Economic Crisis", but I'm not sure cos I was listening to Shonen Knife in the car on the way to the gig as well, so it's a bit of a muddle in my mind... Anyway, that's all I can remember right now... Phew! If anyone else was there, and can remember any other songs they played, let me know! They're all great songs, and you should give them a listen. 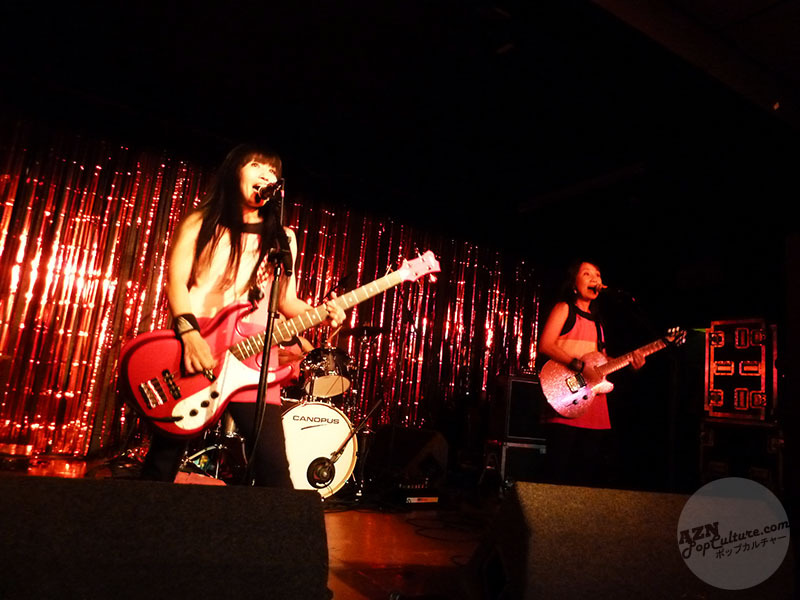 If you're into the Ramones style of punk rock sung with female vocals, then there's a good chance that you'll like them. There were actually a couple of songs that I hadn't heard before, which was cool, but I can't remember the names and towards the end of the show, the music got pretty heavy! They played "Cobra Versus Mongoose", from the 1993 album Rock Animals, which sounds a lot heavier live than on the recorded version, as do a lot of the songs, but this was something else! It's a pretty long song, part of it kind of in a doom rock style, and part of it in a faster punky style. The song has a few false endings, each one a proper rock band ending. 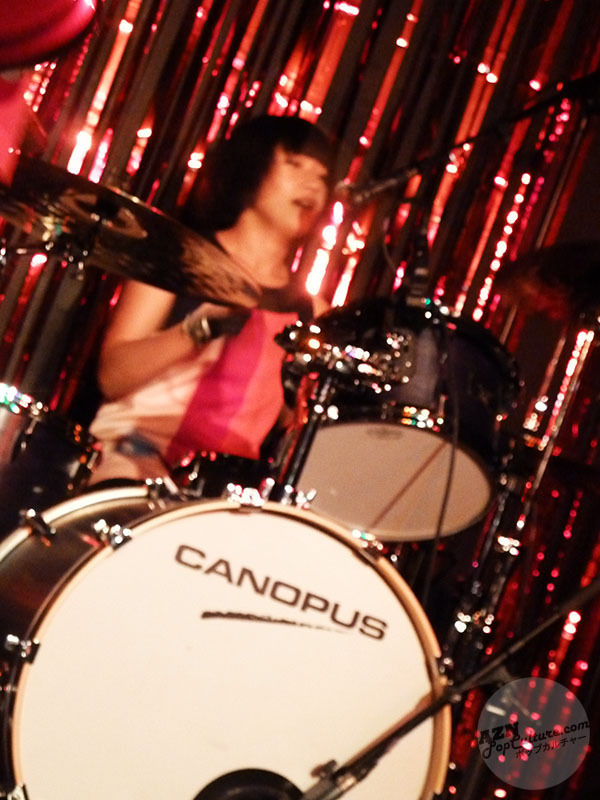 Just when you think the song is about to end, Emi starts drumming again and the song fires up again. One such ending you'll hear in the next video. Great stuff! After this, the band exited the stage to thunderous applause, followed by the rhythmic chanting of "Sho-nen Knife! Sho-nen Knife! Sho-nen Knife! Sho-nen Knife!" and cries of "Moooore!!!!" 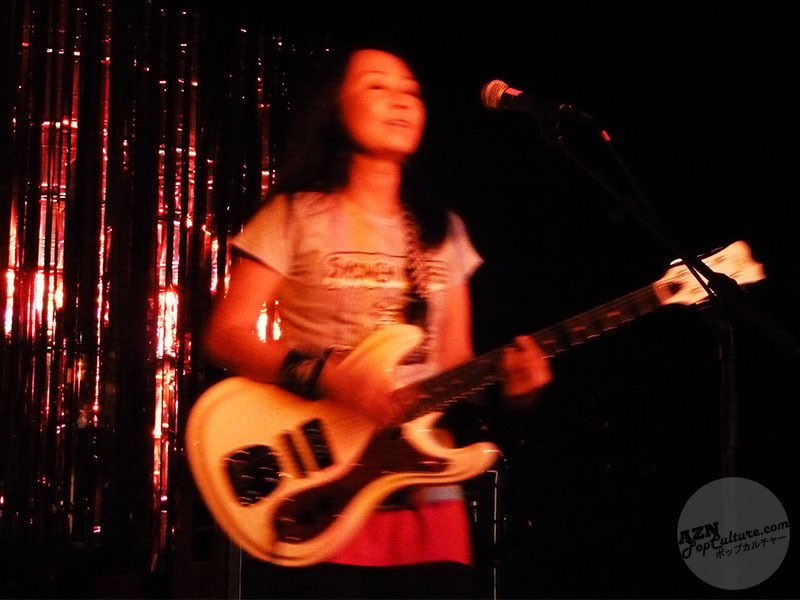 Shonen Knife obliged us after a few minutes backstage and performed their encore; a punked up version of the Carpenters' hit song "Top of the World", taken from the 1994 tribute album If I Were a Carpenter. This is a pretty cool album with other Carpenters' songs recorded by bands and artists including The Cranberries, Matthew Sweet and Sonic Youth. 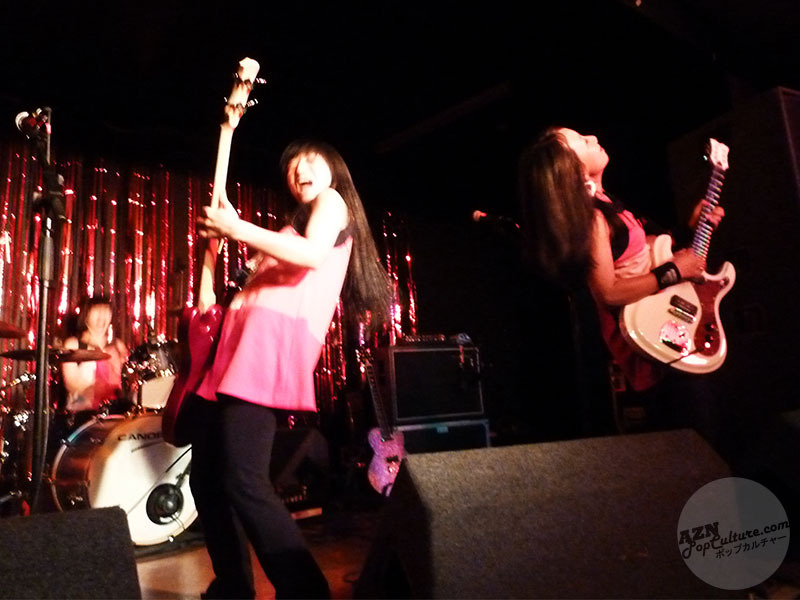 Anyway, for the Shonen Knife performance, the crowd were jumping and singing along to what was the end to a fantastically fun-packed show. If anything, I think this performance was probably the best I had ever seen them. I loved every song, and the atmosphere was great. I hope they'll keep coming back to the UK; as long as they do, I'll definitely continue to go and see them. You should too! 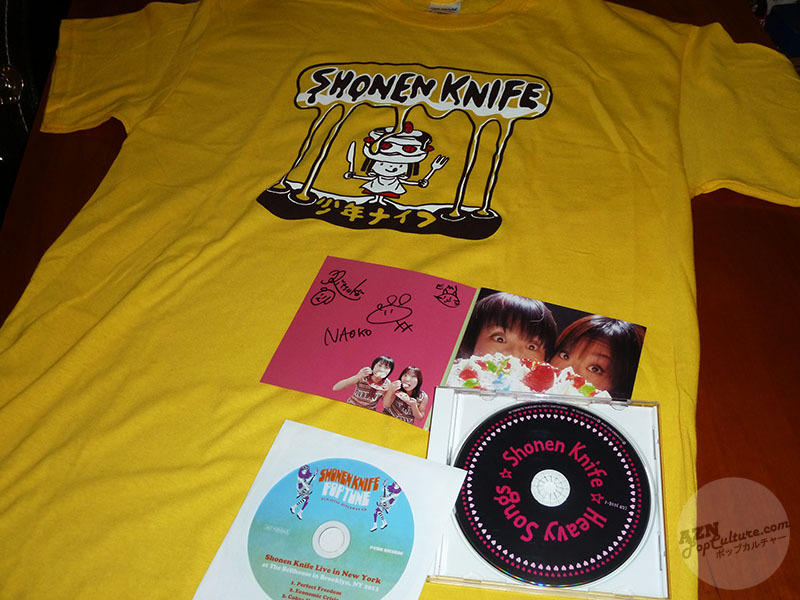 After the show, Shonen Knife were doing a signing session. I bought a T-Shirt and one of their older albums that I hadn't got yet for some reason, Heavy Songs (2003), which the band signed for me. 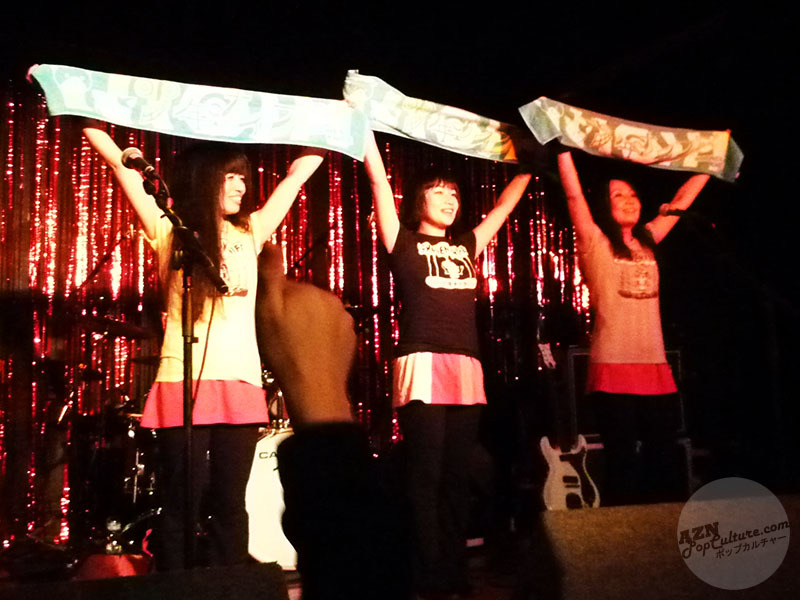 We were also given a free three-track live CD with every T-Shirt purchase, so I was very happy about that too! 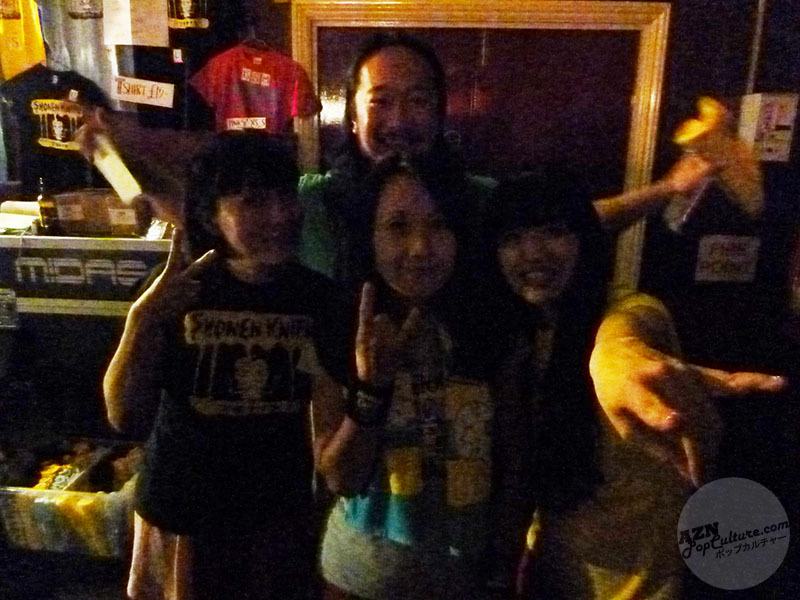 I also got a photograph taken with Shonen Knife, but I forgot to switch on the flash on my camera, and for some reason didn't turn it on and try again; I've tried to brighten it up, and I don't think it looks too bad. I'll make sure I get a better one next time! If you live in UK/Europe and haven't got yourselves tickets for one of their live shows yet, get them now!! Haha, cheers. That guy at the gig seemed to love them didn't he? 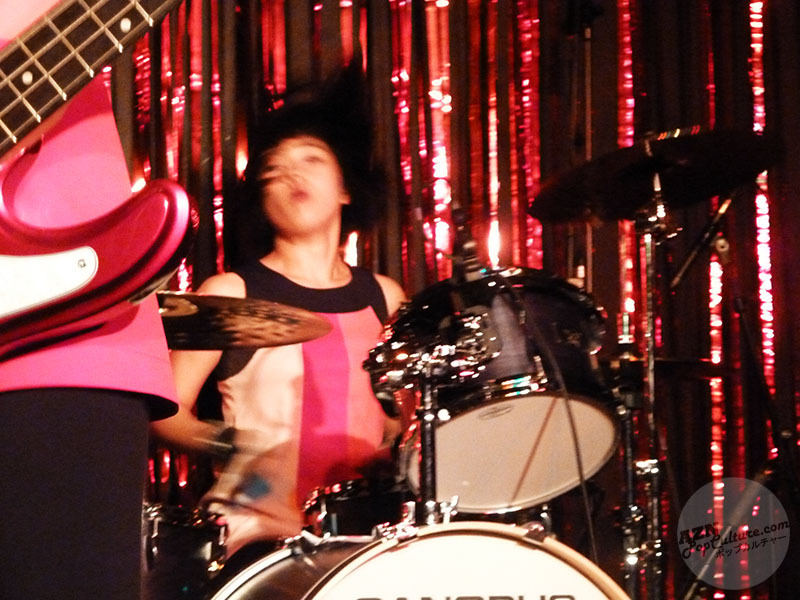 Especially the drummer from the second band! Thanks! You should come along :) I reckon you'd love it. Jon tells me you're a fan of The Ramones. 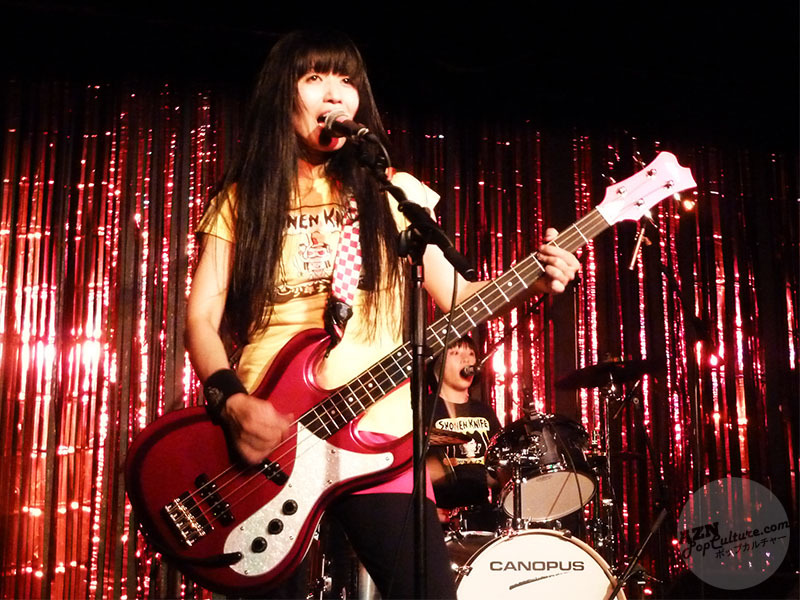 Shonen Knife are kinda similar sounding; you should check out their "Osaka Ramones" tribute album. 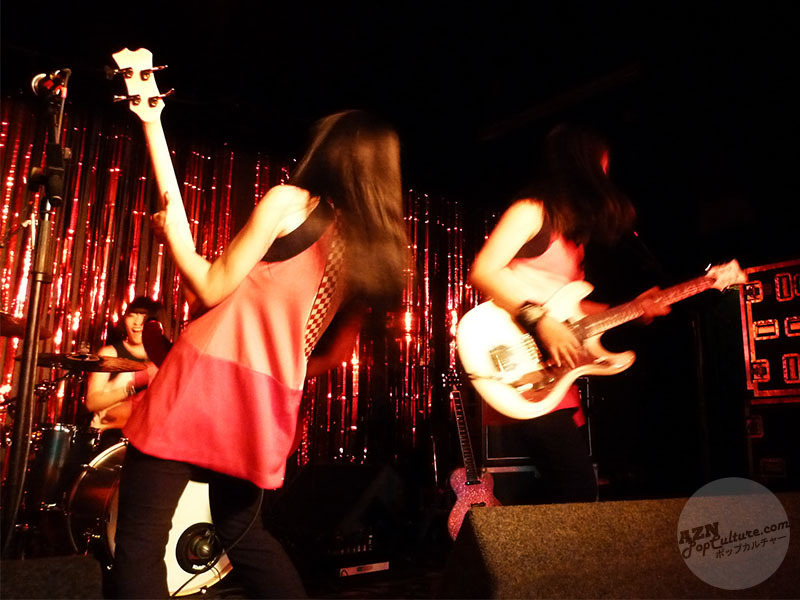 My You Tube name is Shoknifeman, so, you can imagine how much I love this band, when I first heard them in 1997, a lifetime of the Beatles as my favorite band went out the window, and I even run a Shonen Knife Website, now. 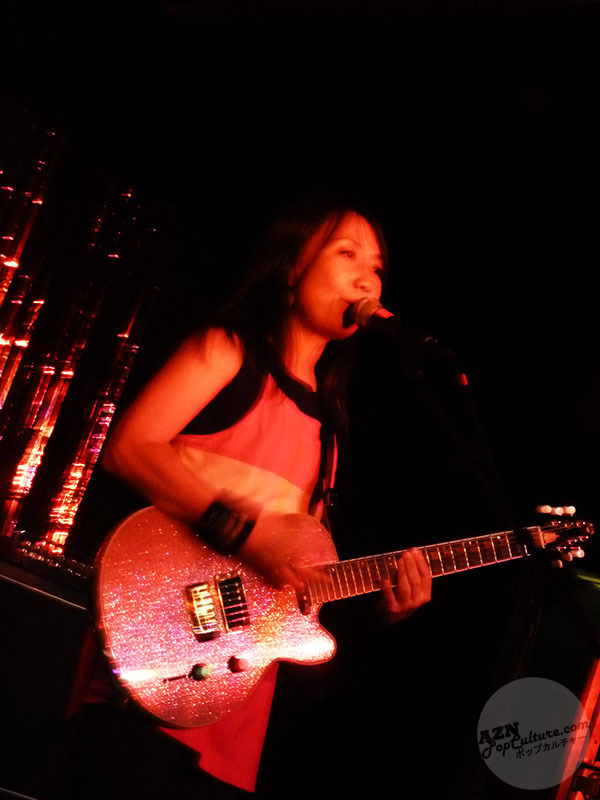 What makes this band great is they write about w/e interests them, not a bunch of formulated love songs or commercial claptrap; better yet, lead player Naoko plays the guitar as it was meant to be played, not like a bunch of screeching cats! The fact that they happen to be gorgeous is a nice extra, but, it's their talent that really shines! ps, they have already announced a new album for next spring, followed by another round the World trip, so, you may be seeing them again, very soon! Why not post your link to your website; I'd be interested in seeing it. Looking forward to the new album and subsequent tour! I'm a regular there, a friendly forum where a bunch of us SK fans share facts,news, gig reviews etc, etc. 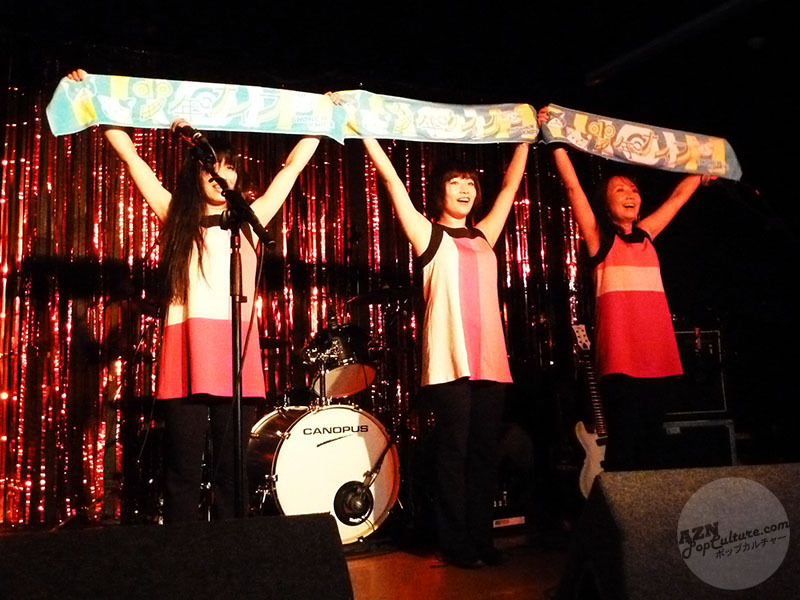 from the early beginnings in 1981 of the band with Atsuko, Naoko and Michie to the current high energy line up. Also some love for other J- and K-bands ( Big fan of Seoul based "Look and Listen" myself). Ah, I was watching your King Kong store video earlier today! 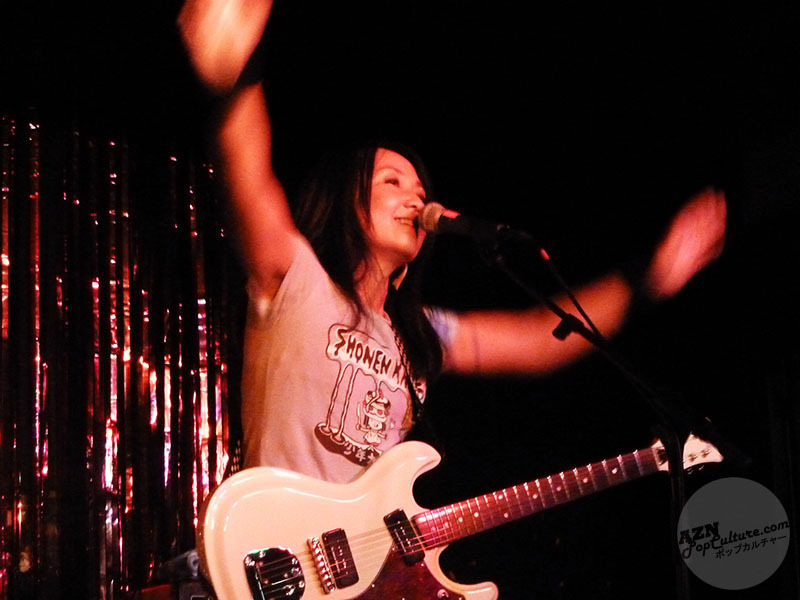 Nice write up and pics and vids of an excellent gig. Thanks. But I notice that you missed out on getting Atsuko to sign your copy of Heavy Songs - she was doing the merch and probably was the person who took your money off you. Konichiwa, Twist Barbie, Banana Chips, Flying Jelly Attack, Pop Tune, Osaka Rock City, I Am A Cat, Cycling Is Fun, Rock'n'Roll High School, Rubber Band, Public Bath, Perfect Freedom, Riding On The Rocket, Pyramid Power, Economic Crisis, Cobra vs. Mongoose, and for the encore Top Of The World. Yeah, I only just realised earlier today that that was Atsuko. I didn't recognise her at all until I was watching some other SK vids on YouTube today! I was a bit gutted about that... I think it must've been the glasses; Clark Kent style. Cheers for the setlist! I got most of them, albeit in the wrong order. Me too! Such a shame not to realize until later! Yeah, hopefully next time, eh? Just came back from the cologne gig and was happy to find a splendid review which describes pretty much the show I have just seen. 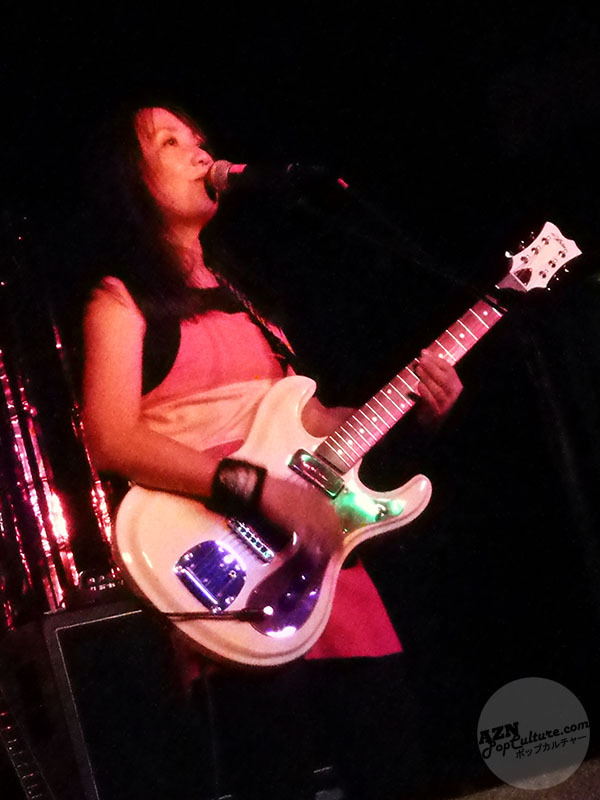 I am as well a fan for 20 years now and I was, to quote Kurt Cobain, "excited like a 9 year old girl" to see Shonen Knife life for my very first time. I love the band. aaah, live, not life. See? Still very excited when I wrote this. Haha! Yeah, well they are an exciting band to see live! Hey I was at this show too (and Glee Club last year)!! Great write-up! Was so much fun and the setlist was excellent. Just browsed your top 10 also. Gotta agree with the majority on there, some killer choices. 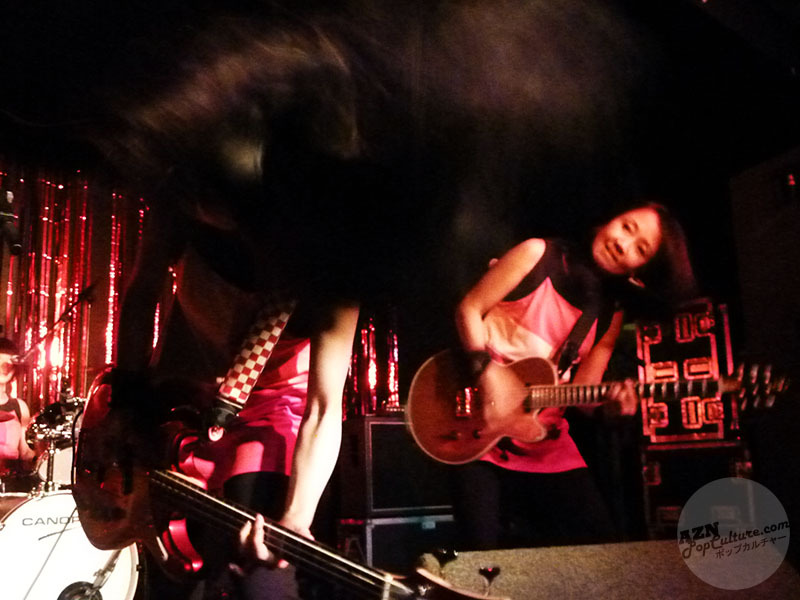 Have you ever heard TsuShiMaMiRe, if you like the madness of Maximum the Hormone, you should definitely get into them..
Yeah, it was a great gig. Cheers for checking out both posts. 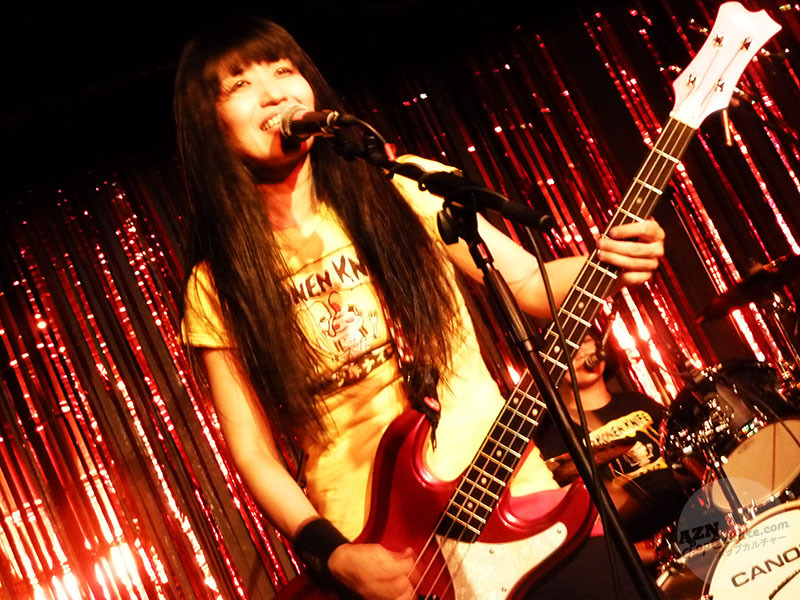 I have heard TsuShiMaMire, but I don't really listen to them a lot. Will maybe give them more of a listen in the future. Hey! Sorry for the (very) late reply; I've been really busy with other stuff and haven't really been able to do much on this blog. I'm gonna be going to see them in Nottingham in May this year.